We began by combining 1 cup of heavy cream and 1/2 cup of sugar and warming them in a sauce pan. 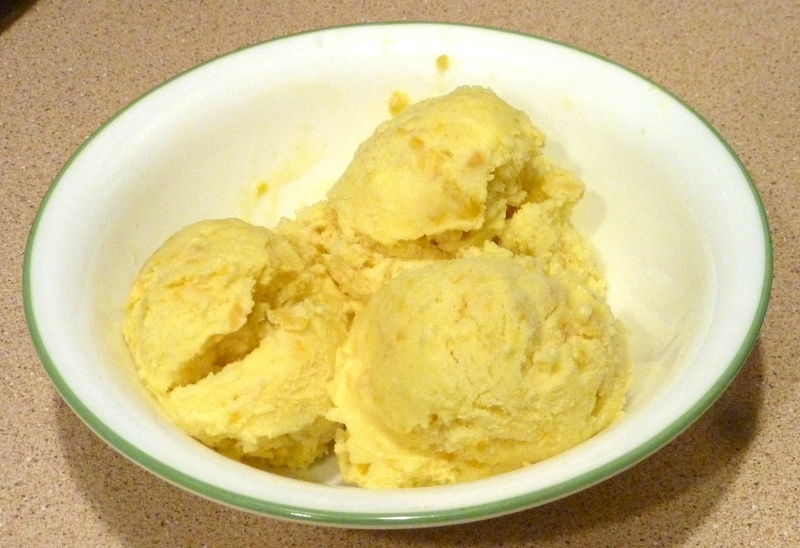 We whisked the warm cream a little at a time into a bowl of 3 eggs yolks. Then we returned everything to the saucepan and slowly heated the mixture until it began to thicken. We removed the pan from the heat and stirred in a can of creamed corn (the kind with some salt in it). 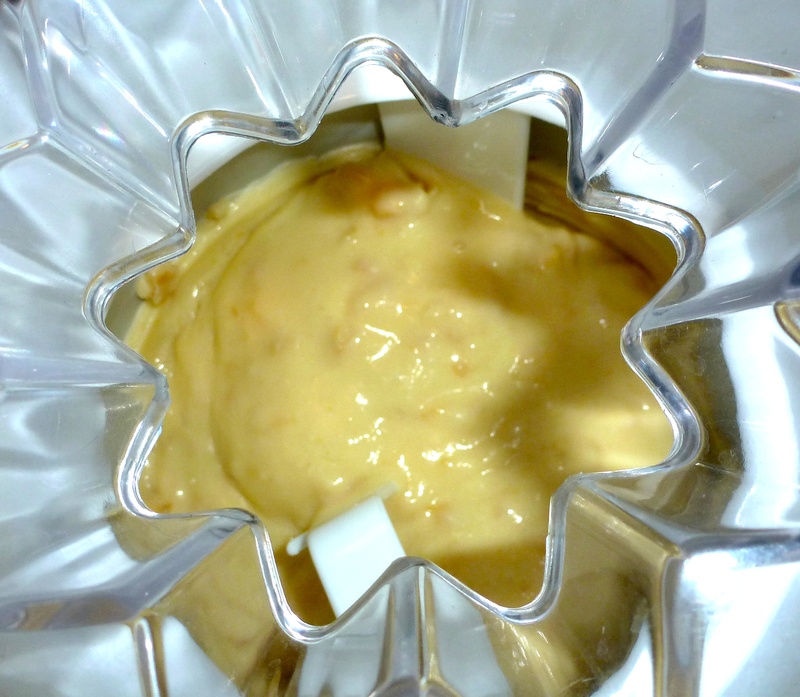 We chilled the mixture overnight and then placed it in the ice cream maker. While it churned up, we began to prepare our toppings. 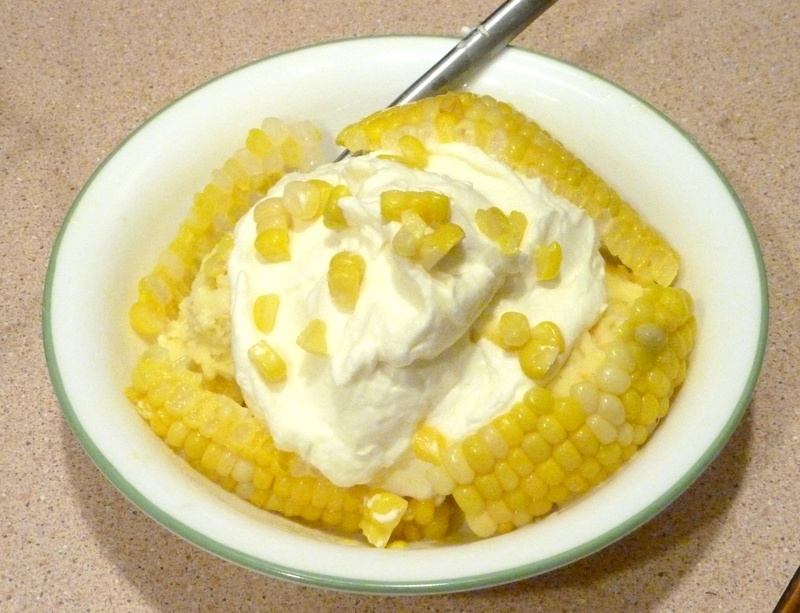 We made some fresh whipped cream, and we boiled some corn on the cob. Once the corn was cooked, we sliced off a few large strips of kernels and arranged them in the bowl as one might use a banana in a banana split. The rest of the kernels we separated and used as sprinkles. We tasted our completed concoction. Then at Cheryl’s suggestion we added some barbecue sauce in place of hot fudge and tried it again. Yelena: Surprisingly acceptable. I like it. Alex: Weird, since I’m so used to hot corn, but good. You can tell that it’s canned though. It would be better with fresh creamed corn. Cheryl: Good and flavorful. It would be good for a hot day when you want corn but don’t want to eat something too hot. Beth: The texture is not quite fluffy enough, but it’s tasty. It would be better with fresh creamed corn. Alex: That’s good. 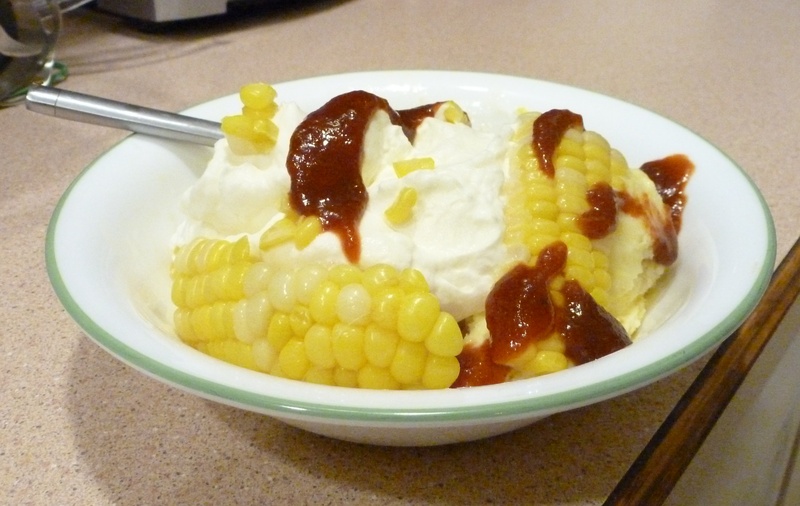 The sauce gives it a nice tanginess, although you need to marble the sauce and the ice cream with your spoon. Cheryl: The barbecue sauce definitely overwhelms the whipped cream, but a small amount goes nicely with the ice cream itself. In fact, it’s really tasty. The corn sprinkles look better than they taste. We could try ketchup instead of barbecue sauce. Beth: With the barbecue sauce, it’s good, but the corn flavor is overwhelmed. I think I prefer it without the sauce, although now I am tempted to make barbecue sauce ice cream. The corn sprinkles are kind of just cold and weird. They’re not bad, but they’re distracting. Ooh, I agree with Lex. That would be the thing to try.